This section is mostly based on the blog entries written following our exploration of the Roll20 website. This site creates a virtual tabletop that has allowed our geographically diversely located players to come together with webcams to start playing roleplay games again. 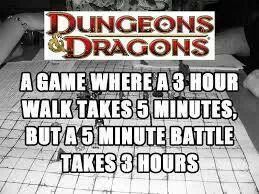 At this time, we’re playing Dungeons and Dragons, but I wouldn’t be surprised if other games creep in over time. The write-ups have proved both popular with players in the games themselves and the wider readership. I’m gathering them all here for ease of access, to save people having to trawl all the way down the blog. I’ll add extra material as we go, such as key characters and locations as I get the time or interest together.